Our partners are recognized as leaders in their respective areas of technology. Unlike other firms who may list themselves as a partners; we have invested in developing expertise with our partners’ products including hands-on capabilities and the ability to provide an integrated solution for our clients. Sand Solutions recognizes that there is a growing need to integrate and leverage multiple applications. The selection and use of the right technology to align business requirements with application capabilities requires selecting a hosting provider that can assist with the implementation of multiple clouds, products, tools and technology. With a foundation of leveraging value for its clients, the software and technology consultants of Sand Solutions have established multiple technology partnerships. As our clients look to assure they are receiving maximum benefit from their Deltek software, Sand Solutions provides the necessary focus to align infrastructure with application requirements. Programs such as Costpoint are continuously being revamped and upgraded to provide even more capabilities. The professionals at Sand Solutions are frequently involved in the development and testing of these upgrades and remain at the forefront of evaluating the benefits for each of our clients. Within the Sand Solutions hosted environment, clients can evaluate, test and determine the impact application upgrades and integration have on their business. In many instances, maximizing the benefits of Deltek applications calls for integration of third party applications. Sand Solutions is a leader in providing the framework and integration necessary to maximize client value from selected software. For those clients looking to minimize customization of applications, Sand Solutions consulting team has the necessary Deltek support. As an example, Sand Solutions continues to work with clients in developing and implementing Deltek’s Extensibility into Costpoint as a means of leveraging the applications and minimizing third party expenditures. For a complete evaluation and determination of how Sand Solutions can help you get the maximum return on your Deltek investment, we welcome your inquiries. We are excited to announce a partnership with Concur, the leader in cloud-based travel, expense management solutions. Concur will enable us to help you better manage costs, improve productivity for your team and make smarter financial decisions with real-time reporting. With a continued focus on hosting and supporting the application software that best aligns with the requirements of its clients, Sand Solutions added Unanet to its growing list of partnerships. The full scope of hosting services that Sand Solutions has offered for over a decade, is available to clients that look to integrate Unanet software solutions. For those Unanet clients that require a comprehensive and customized Hybrid environment, Sand Solutions has the hosting environment that aligns and supports this need. Comprehensive and customized Disaster Recovery is now available for the Unanet customer, an offering that has been recognized as unique, tested, secure and compliant with the high demands of information availability. For those Unanet clients that simply are looking to outsource their overall IT infrastructure, the Sand Solutions Infrastructure as a Service, has been widely accepted. Sand Solutions welcomes you to explore the multiple options available. Access to a wide selection of current product versions. Microsoft®’s Education and Training information. Providing our customers with direct or indirect access to Microsoft® licensed products on subscription basis. This will allow our customers to use or pilot Microsoft® Software without the upfront cost. 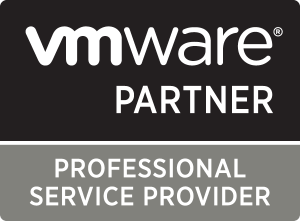 Sand Solutions Limited is a registered VMware® partner authorized to rent VMware® Products through VSPP Aggregator. We also benefit from VMware®’s Product, Services and Technical Support with access to VMWare® Knowledge Base. 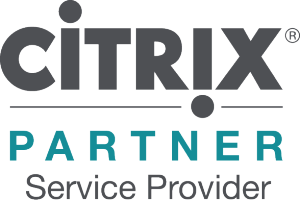 VMware®’s Partner University provides further access to Education and Training on VMware® products. Sand Solutions is a VMware Enterprise Plus solution utilizing many features as part of an overall strategic solution for Disaster Recovery. Installations and Implementations of Applications. System Architecture Design and Development. Ongoing Staff Augmentation for Product Maintenance. Data Migrations and Integrations with Third-Party Systems. Secure Private Dedicated Hosting with SSAE (SOC2), HIPAA, MA-201 and PCI-DSS Compliance.